​​We're excited to announce that Cos-Con has partnered up with 4TG Game Con to bring an even bigger and better schedule of Cosplay activities this summer! We'll be bringing a whole bunch of cosplay activities, games and competitions (and our usual shenanigans) to the con, with lots of chances to get up on stage and showcase your creations - including the Cos-Con Cosplay Championship! Read on for more info. 4TG's Cosplay schedule will climax with the Championship, an on-stage showcase of the best, self-made costumes of the weekend. Judges will decide on an overall Champion as well as winners for different crafting disciplines. If you've been to Cos-Con or Cos-Con North in the past, you'll know the spectacle we like to make of your creations! Entry is open only to costumes predominantly self-made, and registration will close at midnight Friday 21st July. PLEASE ENSURE YOU HAVE FULLY READ AND UNDERSTOOD THE CHAMPIONSHIP GUIDELINES BEFORE ENTERING. ​On the main stage we will also be hosting our open entry Masquerades. Sign-up is on the day and is simply a chance to have some fun up on stage and bring your character to life! This event is about having fun and enjoying the limelight on stage. 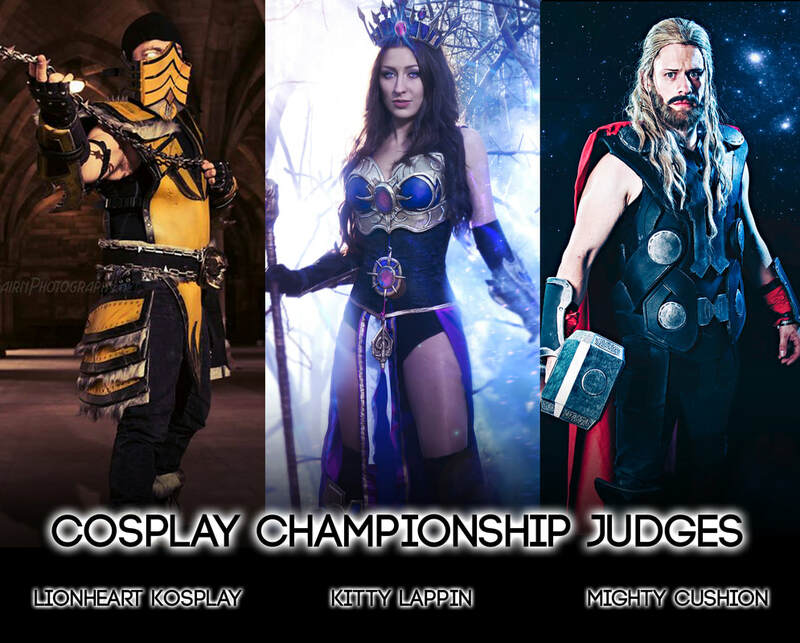 If you really blow away the crowd with your creation and performance, our panel of judges may offer you a chance to compete as a wildcard entry in our Cosplay Championship! So strut your stuff! !